Long haul flights - and I feel I undertake more than my fair share of these - provide the ideal opportunity to catch up on some serious listening. On-board entertainment has changed beyond all imagination in the years I've been flying intercontinentally, and with well over 100 movies shown on demand in wide-screen monitors with outstanding sound heard through top-rate headphones, not to mention vast numbers of on-demand audio recordings, I should not need to provide my own in-flight entertainment. How easy it is to escape the tedium of a flight and allow the plane's entertainment system to while away the hours filling one's brain with images and sounds. But I cannot fly without being glued to the live on-screen map showing the flight's progress, which rules movies out for me (I hate leaving the map even for the short walk to the nearest washroom), and for all the choice, the on-board music is pretty predictable fare. So when I get on board, I settle down, switch on the map, take a glass of something fizzy and wait for the seat-belt lights to go out. Then it's out with the portable CD player, the noise-cancelling headphones and the latest crop of as-yet-unheard CDs. I reckon the average flight between Singapore and the UK requires six CDs (allowing time for sleep, meals and walkabouts), and it is my ambition to get through them all on a single flight. My last long-distance flight was actually a 3 CD-er; I was taking the flight from Delhi to Istanbul. As we levelled out over Pakistan, I fetched down my three CDS which, taken from a backlog built up over the past few weeks, all featured the music of Bach. 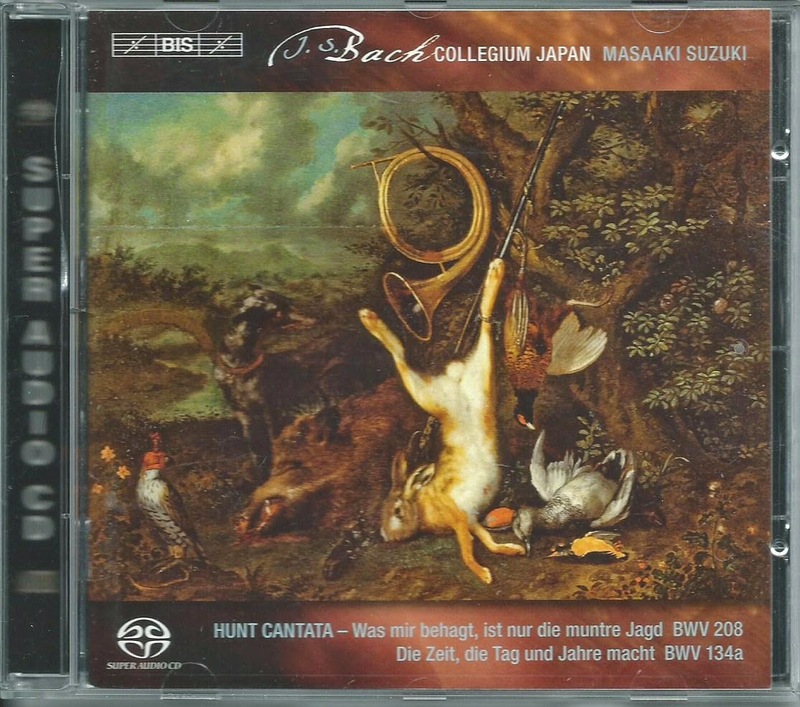 As we crossed over Afghanistan and headed towards Kabul, on went the latest installment of the Bach cantata series on BIS with Masaaki Suzuki and his Bach Collegium Japan. 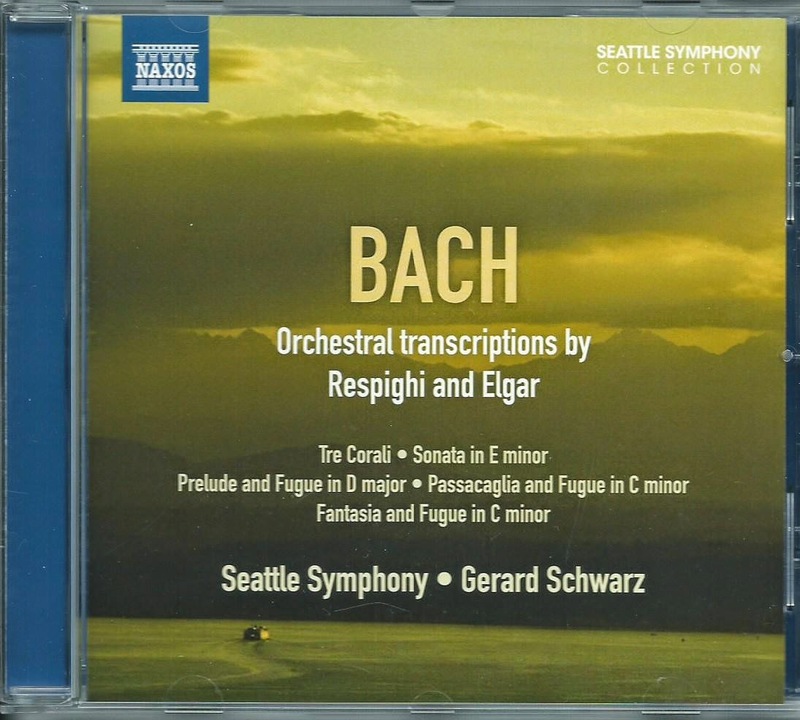 I have derived much delight from this series, and was eagerly looking forward to hearing the second of the volumes devoted to secular cantatas, but it proved to be a disappointment (BIS-SACD-1971). I found the sound rather lifeless, the performances clean rather than committed - typified by a surprisingly pedestrian opening Sinfonia (taken from one of the Brandenburg Concerti) in which the valveless horns were even more than usually rough - and impressive as the international line-up of soloists was, they proved to be too different in their approach to gel convincingly as a group. It all sounded a little - dare I say it? - routine. There were, of course, high points. There's a lovely "Sheep May Safely Graze", with a pure-toned Sophie Junker accompanied by two endearing recorders. We so often hear this delightful aria out of context, that to experience it in its true setting is always a joy. There is also a wonderfully buoyant closing chorale to Die Zeit, die Tag und Jahre Macht which I enjoyed so much I immediately repeated the track. 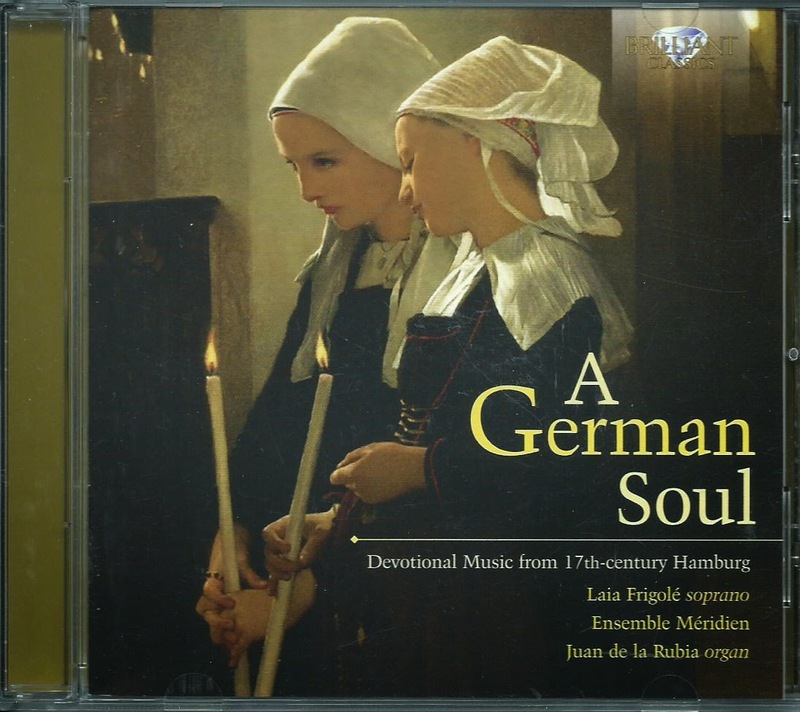 We were still over Afghanistan when I moved on to my next choice, a new release on the Brilliant Classics label with the somewhat unenticing title of "A German Soul" (94717). I had been sent this as a gift and was not expecting very much from it; I somehow have unaccountably low expectations from any Spanish ensemble (how ridiculously prejudicial can you get?). But immediately it was obvious that Ensemble Meridien is a group who not only love making music, but have that rare ability to communicate their enjoyment through the somewhat impersonal medium of a digital recording. Everything was a joy, but it was their take on one of Bach's organ Trio Sonatas (the D minor BWV527) which really bowled me over. My personal measure of success in a CD is how often I repeat tracks during a single sitting. I don't think I've ever gone over five back-to-back repetitions; the only time I hit that number was with my first taste of Piazzolla on an Australian Eloquence recording featuring the New World Symphony Orchestra and Michael Tilson Thomas. I stuck it into the car CD player on the journey from Brisbane to the Sunshine Coast and then sat overlooking a spectacular beach, continually pressing the repeat button until a grain of sand got into the player and scratched the disc into unplayability. But this wonderful Bach got four. I know how much fun there is to be had from playing this music on the organ (although generally it's more fun to play than to hear), but I wish all organists could listen to this version for chamber ensemble just to learn how much more there is to this music than the physical demands of playing three independent lines. Even the continuo organist is having huge fun (at 00:42 in the 3rd movement). A wonderful and life-affirming performance which contrasted oddly with the tarnished Iraqi soil over which we were flying, the members of ISIS apparently progressing over it on foot as quickly as we were by air. I know that it is a function of news to report the unusual and the exceptional, but we are so overwhelmed by the news of atrocities and terrors in Iraq, that it is difficult to perceive that anyone on the ground beneath our plane was able to live in peace or tranquility, let alone get themselves into the mood to savour the sheer joy of these performances from this outstanding Spanish ensemble. Crossing into Syria, I felt the incongruity of joyous music and pained existence on the ground a little too keenly and, reluctantly I put Ensemble Meridien aside for a programme of assorted Bach organ pieces in orchestral transcriptions (Naxos 8.572741). Oozing pathos and revelling in self-indulgent emotional excess, the first track was Respighi's transformation of the chorale prelude on Nun komm, der Heiden Heiland into a pained outpouring of grief from the lower strings. Aided and abetted by Gerard Schwarz's unrestrained expressive nuances, this proved to be too much to bear and seemed to encapsulate the loss of hope for peace in the area. But just as I thought I might have to abandon musical pleasure for the sunnier delights of the latest Hollywood guns and bombs blockbuster, Respighi turned his hand to two other preludes, Meine Seele erhebt den Herrn and Wachet auf, and while no self-respecting organist would dream of lavishing such over-the-top romanticism on these pieces (not least Respighi's addition of fistfuls of orchestral stops as the latter reached the kind of vast climax I had never spotted in the organ original), the sheer nonsense of it all brought a smile back to my face. Long-haul flights might inure one to the horrors of life on the ground 30,000 feet below, but spending the time listening passively to great art opens up channels of thought and contemplation which are denied those who, quite understandably, indulge in the escapism of on-board movies.